Archangel Sandalphon, many people’s favorite, and like Michael, Gabriel, Uriel, Raphael, and Metatron, he is the most popular of Angels since many of the angels were not exposed. The only spoke of very specific angels, from heaven. Limited in only those highly popularized names, and when it came to fallen angels, they have hundreds listed out there. Hmmm, I wonder why? Myriads upon myriads of faithful angels, and no more than 7 listed on Earth mainly? I do not think so. The spiritual teachers did this deliberately. Most of what is known as Universal teachings, are really Earthly Spiritual Teachings. They were taught by the Archons, to believe earth was the center of the Universe, and most of the teachings surrounded what was seen to the human eye in space. This is also why only specific constellations, nebula, and star systems are mentioned too. If everyone could channel, then where are the other angels and places in the Universe, that are very relevent? Ask yourself…. So Sandalphon, is one of the more popular angels. But what is the truth on this angel? Let us find out. Sandalphon is the emissary of prayer. Yes, and no. He isn’t the only angel in charge of this. In fact, prayers go up the entire hierarchy. It runs from the human, to their guides, who take it to the higher self, and the higher self, to the angelic guide. The angelic guide will take it to the Virtue, the virtues to the thrones, the thrones to the powers, the powers to the dominions, and the dominions to the principalities. Then, the Creator. The Creator is too large and too far away to hear the tiny microscopic prayer of a human, so it goes up the line, from least to smallest. This is why a hierarchy is needed. But in this, Lords of Karma get involved, and so do the Archangel who will ultimately execute the answer or response to that prayer. Then it travels back down. Messengers indeed. In every sense. So there are many angels who work in prayers. Sandalphon though, he works as an angelic virtue, he too is an Archangel though, having his own legion to command. But he lives in the 7D of Earth’s heavenly spheres. He is a bit closer to humans in a sense, so this is why they call him, The Intercessory of prayer. He works in between there. Sandalphon was always angelic. Some say he turned from man to angel, but in truth it is vice versa. He was an angel in heaven, and to be the prophet that he was, and to know what he did of the angels, and of the star beings, he had to had come from some higher place. Angelic wisdom is so high in vibration, that it is not accessible by just anyone. One has to be familiar with it first. He was an angel first and then came down into this realm to try to help out in the religious issues involving the spiritual people of Israel. He knew this would later branch off into Christianity, and he had hoped to get the truth out there. Sandalphon has had two incarnations. One as Ezekiel, and one as Elijah. He has used two names to represent his missions, one being Sandalphon, but that is really the name Humans gave him. In the heavens he is really called, Koachiel. However, I use Sandalphon as that is what most people on Earth know him as..
On earth, when he was known as Ezekiel, the name meant “God Strengthens” and he was delivering that message to a people who were losing that connection to the Creator, as a result of the lack of prophets later. He revealed his vision for the future too and his name serves its purpose there too, as he was saying, people would need the strength of God to get through the issues upcoming in the world. He himself was in Babylon. In his visions, he was speaking things he saw unfolding in signs given to him by the creator. The meaning of the name Sandalphon some say is, “Co-brother”, but the true meaning of his name is “Manifold” derived from the Hebrew word for “wheel”, and it is said that he is the brother Metatron, which is completely true. Everyone says that Sandalphon is ambassador of Earth. In fact, the ambassador of Earth is Metatron. He is the one working in and out, of the higher dimensions and the low dimensions of Earth. He is the one holding the keys to the true matrix, and also who was behind the trickster’s plan for a false matrix, made with some of the design of the original matrix, but lesser vibration, and lower in the realms. Metatron had been tricked for his loving, giving heart, and the compassion he felt for all connected to the light, as he loved the Creator above all things. Sandalphon is his brother in energy. Some have said that Sandalphon has actually only been the prophet Elijah. This I disagree with. He was also Ezekiel. In both missions, he achieved great messages. Both he and Metatron introduced the idea and truth of the what Egyptian teaching’s call, Merkaba. Mer, is light. Ka, is body. And, Ba, is spirit. In other words, the “light body spirit”. It represents many things in reality, not just one. The soul is not actually a star tetrahedron, but I see where they are coming up with this concept. In his visions, when on Earth as Ezekiel, he described it.” became four sacred winged creatures, sparkling with that same bronze luster, with the faces of lions, oxen, eagles, and human beings. They stood on four wheels, which had the appearance of “two wheels cutting and spinning through each other” and faced all four points of the compass (Ezek 1:4–11, 16–21), like their counterparts in the Temple. In trying to replicate this using images early humans knew to compare it to, they used the gold-plated winged cherubim in the sanctuary, whose wings were extended and touched each other, and which stood on their feet. It transformed Ezekiel’s vision into sacred, sparkling, winged creatures, “each of whose wings touched those of the other” (Ezek 1:9) and whose legs “were fused into a single rigid leg” (Ezek 1:7); their appearance was “like burning coals of fire…” (Ezek 1:13). The true concept is neither. The new age came up with the spinning star tetrahedron in place of this, to make people think they could be like extraterrestrials and activate a light ship themselves and zip through the stars. There is a close idea related to it in their expression, but they are not going to expose the full truth. Neither am I. Why? Because knowledge is power, and unfortunately, people do not use power the correct way, and it is a sin to the Creator, to be the one who hands it out carelessly. However, the real “merkaba” connects tot he New Age’s concept strongly, but it does not turn you into a beam ship LOL. Sandalphon and Metatron, it isn’t that they are brothers “brothers”, there is also a secret with that too. But I see how they came up with it, and I will go along with it. All angels are kin anyhow. In this, Sandalphon is a power figure in the angelic realm. Truly. He is a huge force on Earth more so though. Numerology: His number is 104. This vibration is speaking of yourself, working towards a new beginning, with everything that you have. Fighting for change and movement forward. It represents using all that you are to get to the top which is why it is a worker’s number. But, it is all about doing it by yourself. It often reminds me of the person who has hit rock bottom. They have used all of their resources, and lost all of their friends from doing so. No body can help them back up, except themself. So, they have to start from the bottom, square one, and work as hard as they can, to start over. Ezekiel was trying to say just that, to Israel during his human life, as they had forgotten all traditions and spiritual applications that had gotten them to be a nation in the first place. Instead, they had be inflicted by Babylon. That was his message then and it is now. This is why they say he is the intercessory for prayer, for the only time man really prays diligently is when they are at rock bottom and in need. Legion: Sandalphon has his own legion, in which rules over 13 thrones. He does this while Metatron holds the keys to them as gatekeeper in his role as well. Metatron is the Angel of many faces. Wisdom: In his wisdom, Sandalphon teaches Abrahamic Spiritual Teachings. This is what he was a priest over, and in these teachings there is a rich wisdom. Stones: Sandalphon’s stone is the blue sandstone. This stone is so beautiful and strong. t gives strength and wisdom to the one carrying or wearing it, and perfect enough, as Sandalphon, as an angel, and as a human, Ezekiel, he represented strength. Especially in hat one must achieve in the numerology energies that coincide with him. In comparison: Unfortunately, there is no one else to compare him to in regards to the deities. This is because while he was always there, he did not reveal himself, or his role, until later on, on Earth..
Color: The color to use for this angel, is earthy toned, browns, sand, beiges, and tan. 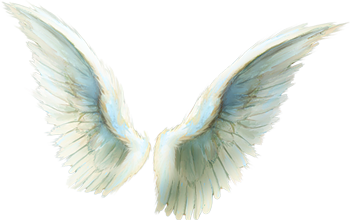 Sandalphon is a mighty angel, only he was in training before his human life. Learning, like all of the angels to do, before taking a high position. He originally was a virtue, and then grew into who is today, later on after proving himself as a human. He is rich in mystery, and steeped in truth. 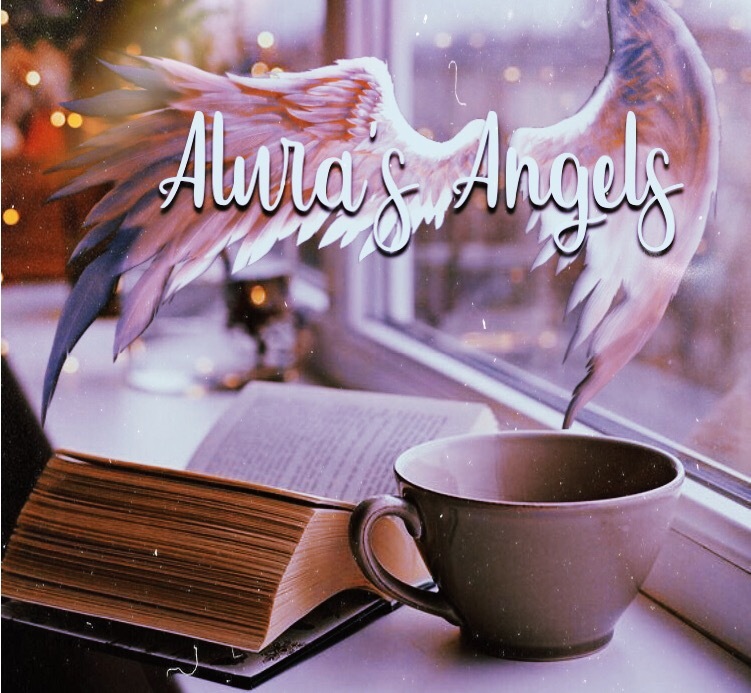 This angel works closely with the main archangels, as a team to keep the higher plane in earth’s heavens, in tact, and to make sure no other soul can exit there, He has a really good spell, (angels have their own magic), that can bring to you wisdom naturally, to learn. It is one of his biggest wishes for people to change for the better, and be happy. He says that for them to have it, they must first have wisdom. Having the Creator help me in the first Truthology Course, in the second it will be Metatron, Zadkiel, and Metatron. Removing blinders in life, to see what is really there in front of you. Giving strength to those who are fighting to fix things in their lives. Copyright protected information. Usage of any of this material is subject to be prosecuted.